Jeremy Buendia has stated that switching to Classic Physique could one day be an option, after his immense success as an IFBB Men’s Physique Pro bodybuilder. You might just remember our recent story on Jeremy Buendia making his comeback to the gym after a serious pec tear. Whilst he’s not back to full throttle, he will hopefully make it to the Olympia this year. But recently, he hinted on Instagram that he may one day switch divisions. Sure, even Jeremy admits that he has a long way to go before that can happen. However, he’s proven time and time again what he’s capable of on the bodybuilding stage. Jeremy suffered from a pec tear towards the end of last year, which threatened his plans ahead of the 2018 bodybuilding season. However, he’s now well on his way to a full recovery after making a return to the gym recently. He’s been remarkably successful as an IFBB Men’s Physique pro bodybuilder, earning himself 4 titles at the Olympia. However, if he were to make the jump to classic physique, will he be able to replicate this success? “What do you guys think about making a run at being the first ever to win 2 divisions at the Olympia? It would take some time and some years to get where I would need to be. Not saying I’m going to, this is hypothetical”. 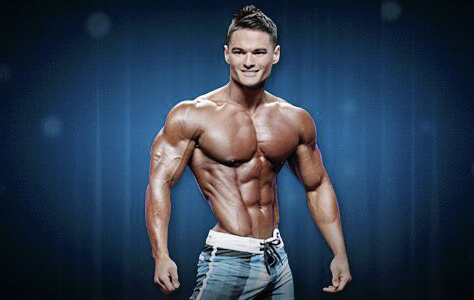 Jeremy Buendia has certainly proven that he’s a force to be reckoned with in the bodybuilding world over the years. He’s a four-time Olympia Men’s Physique champion after all! Will he be able to earn his fifth title this year? that remains to be seen. But we sure hope he gets there, and wish him well on his recovery. Let us know your thoughts in the comments section below or on Facebook, Twitter, or Instagram.